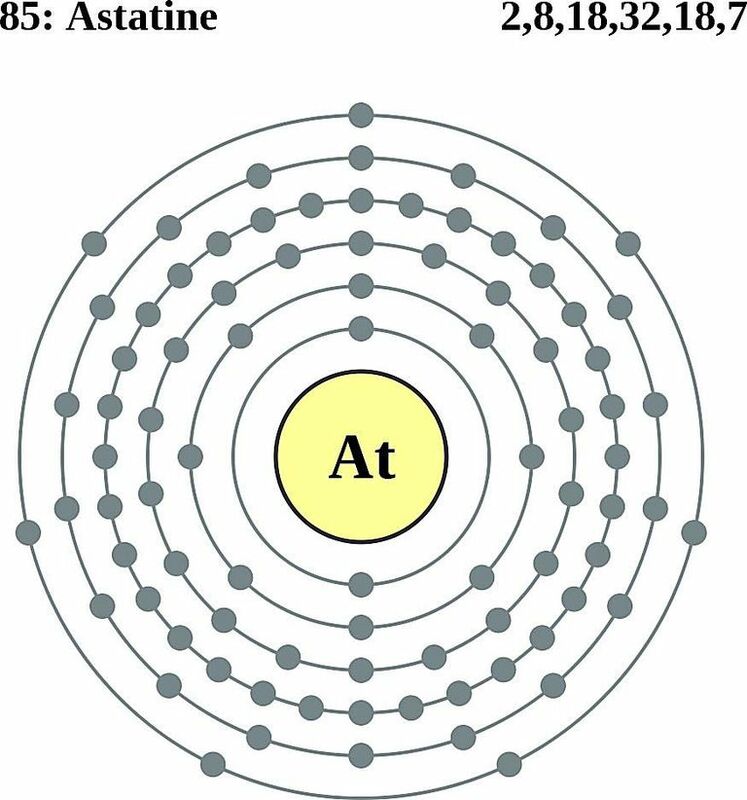 Astatine (pronounced as AS-teh-teen) is a non-metal represented by the chemical symbol At, and belongs to the family of halogens . 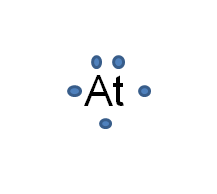 It is not diatomic as it contains only one atom. Among all the members of the halogen group, At shows least reactivity . It has 30 isotopes out of which astatine-210 is the most stable one with a half-life of 8.1 hours . 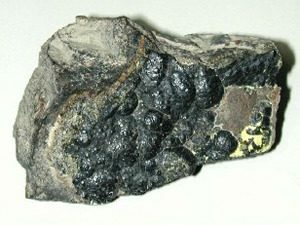 Along with boron, arsenic, antimony, silicon, germanium, tellurium, astatine is sometimes included in the list of metalloids though its properties have not been studied in detail owing to its short half-life. The total amount of the element in the earth’s crust has been estimated to be less than 30 grams formed as a result of the decay of uranium and thorium mineral deposits . 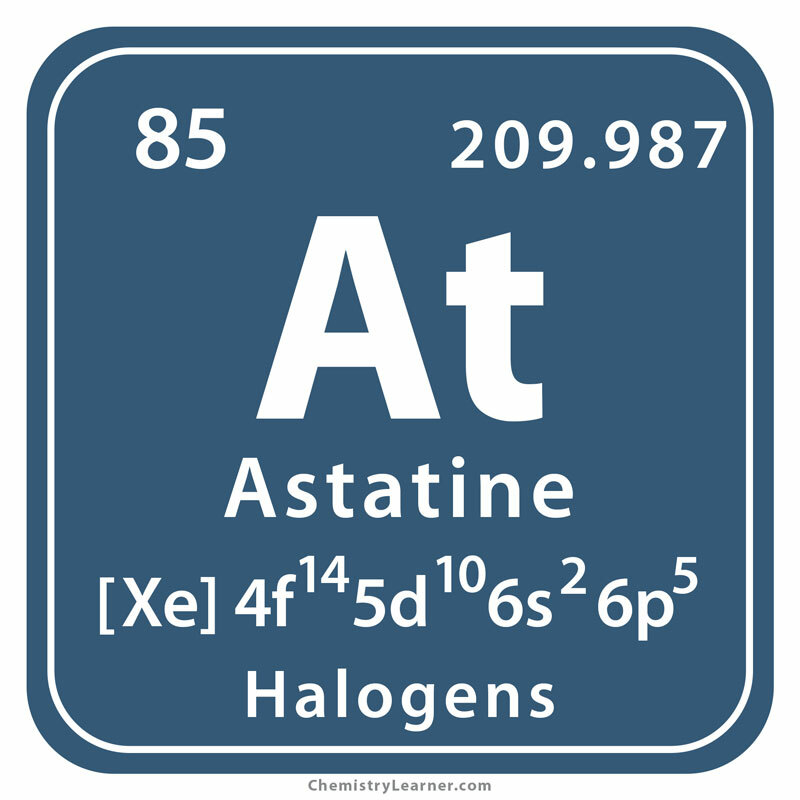 Origin of its Name: Its name has been derived from the Greek word ‘astatos’, meaning unstable . Who Discovered it: Dale R. Corson, Emilio Segrè, and Kenneth Ross MacKenzie were the discoverers of the element . In 1939, Horia Hulubei and Yvette Cauchois examined some mineral samples using high-resolution X-ray apparatus and assumed detecting the new element. On the other hand, another scientist and chemist, Walter Minder while testing the radioactivity of radium obtained from the same sample, suspected the presence of another element based on the results obtained. After carrying out several chemical tests, he found the new element had properties similar to iodine. It was only in 1940 when Corson, Segre, and MacKenzie at the University of California synthesized the new element by bombarding alpha particles against bismuth. They were unable to conduct further research as the entire focus had to be given to the Manhattan project during the World War 2 for making nuclear weapons and other radioactive materials . In addition to the element’s short half-life, its limited production in the laboratory makes it useful only for basic research purpose . 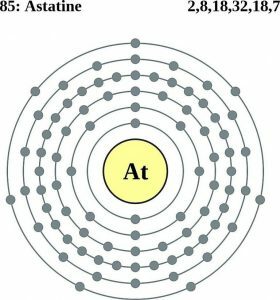 However, based on some studies, one of its isotopes, astatine-211 could be a possible cancer therapy as well as a radioactive thyroid uptake test [6, 7]. It’s difficult to speculate the harmful effects of the element due to its scarcity in nature and minute synthetic production . Due to its high radioactivity, proper handling techniques and precautionary measures are required while working in the laboratory. 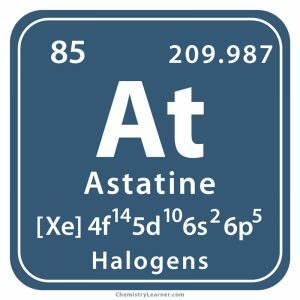 Its most unstable isotope is astatine-215 with a half-life of 0.1 milliseconds . A total of only 0.05 micrograms of At has been produced till date . 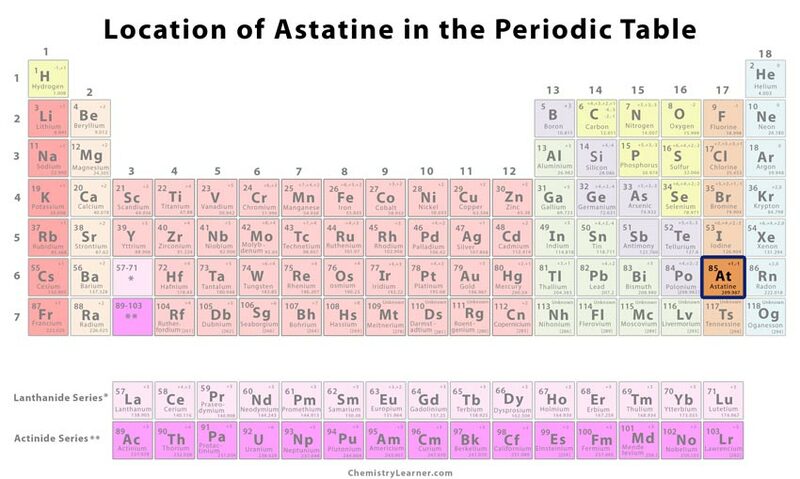 As astatine is a radioactive element produced only in the laboratory whenever required, it cannot be commercially availed.